Best breakfast view in Brisbane? Sunday morning…relaxing start to the day…good company…hearty food and… magnificent views over Manly Harbour Marina. How perfect is that? 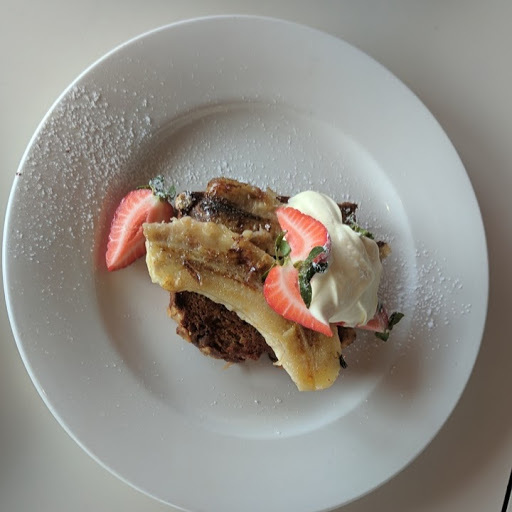 Moreton Bay Trailer Boat Club (MBTBC) is a surf club style restaurant and bar, just 30 minutes from Brisbane CBD, with its marina and Moreton Bay views stretching out over the bay and beyond to Moreton and Stradbroke Islands. Panoramic views of the marina are plentiful as you enjoy the activity of sailboats, luxury cruisers, jet skiers and anglers as they go about their business. 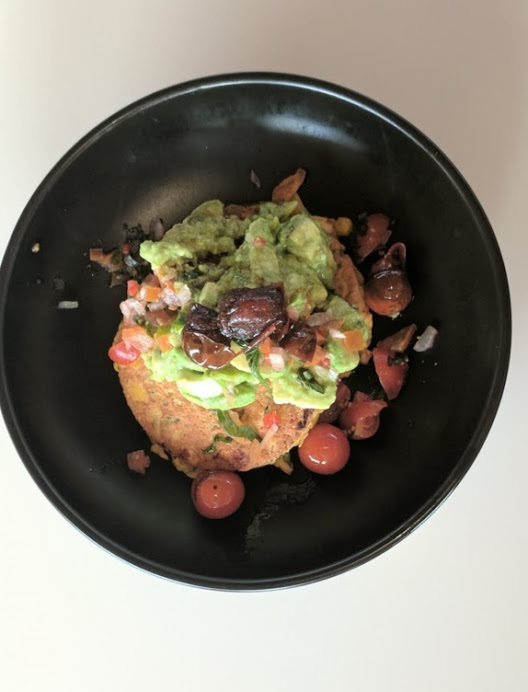 Breakfast on the weekend is a selective menu and hearty fare with our table of four enjoying a diverse selection. 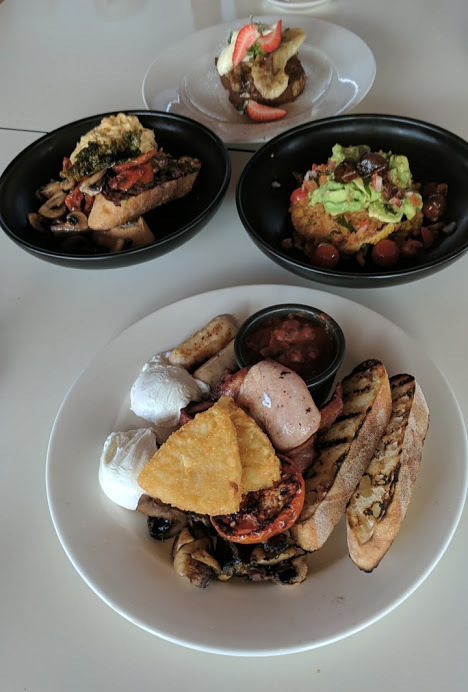 The traditional 'BIG Brekky' is great value ($20.50) and offers eggs, bacon, pork & fennel sausages, hash brown, mushroom, roast tomato, housemade baked beans & sourdough. Or Banana Loaf with grilled banana strawberries & cream. The restaurant is on the deck of the MBTBC with a lovely Queensland coastal ambience. Check out the full breakfast menu. The club is open to members and guests and is situated just off the Esplanade and park at 34 Fairlead Crescent. It's perfect to combine a visit to Little Bayside Park with children and visit the regular Sunday craft markets or the Jan Power's Farmers markets held on the 1st and 3rd Saturday mornings. Read review on Manly Harbour Village. Breakfast is served weekends from 8 am to 10.30am with lunch and dinner served 7 days a week. Check out the MBTBC website and Facebook page for details of menus and events coming up. Call on 3396 8161 for bookings.